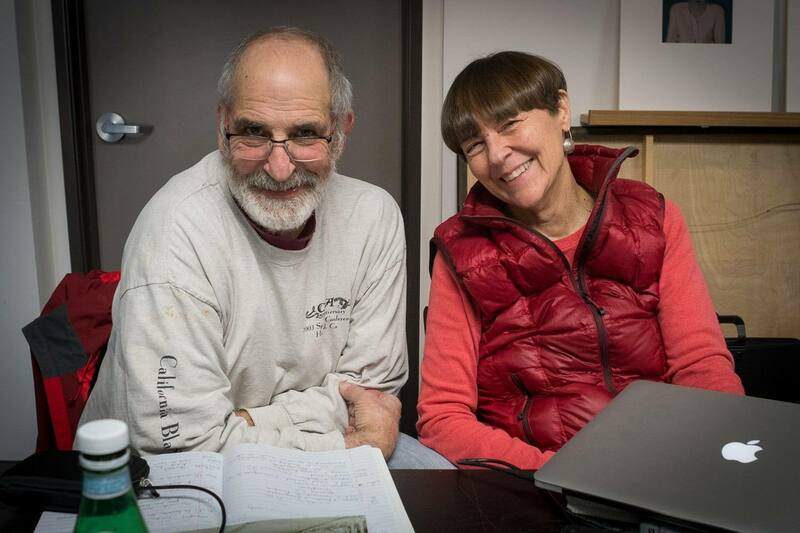 This is Max Kellenberger and Niniane Kelley taking over The Image Flow blog! 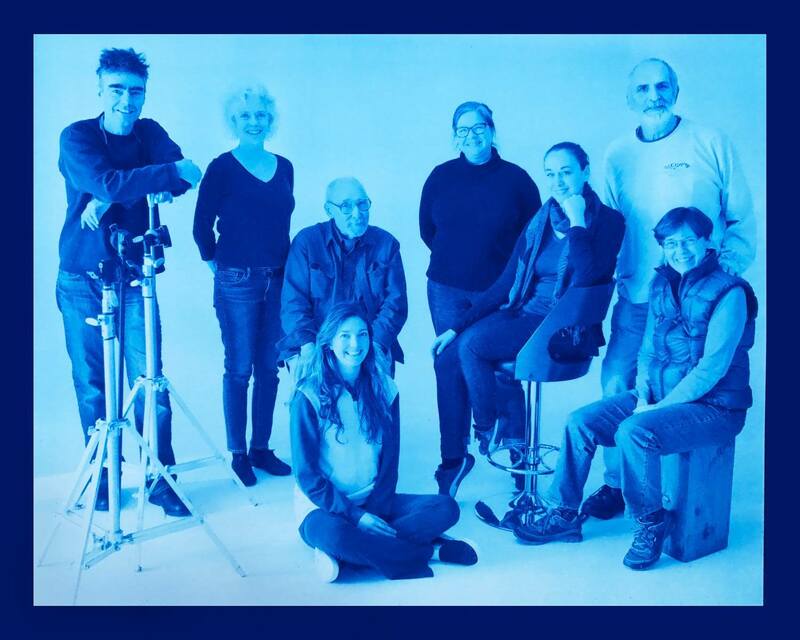 As we prepare for the third iteration of our cyanotype workshop Intro to Cyanotype Printing at The Image Flow, we want to share more about ourselves and our workshop. 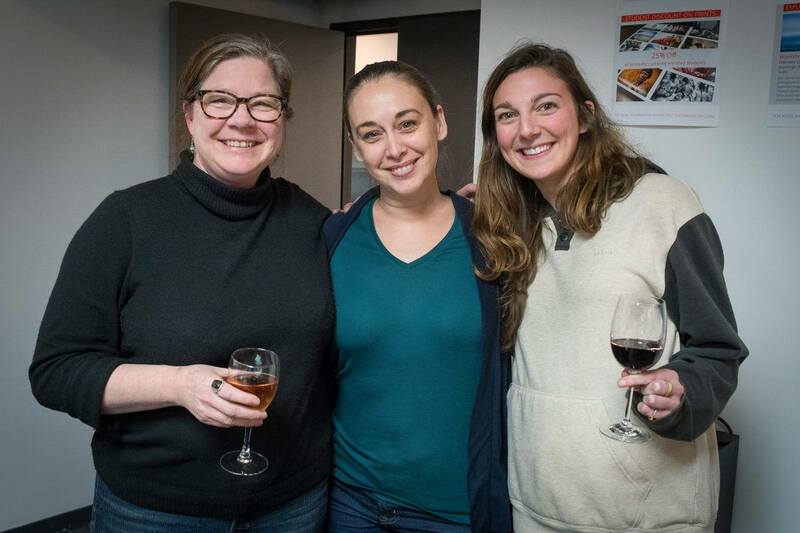 The next course will be May 17–19, 2019. 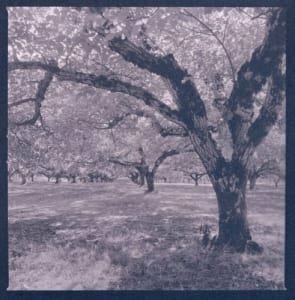 No previous darkroom experience is required, as cyanotype materials are a fantastic entry point to learning about alternative printing methods; however, even more advanced printers will benefit from the course if they want to refine their technique or experiment with toning. Our small class size allows us to work hands-on with our students and tailor the experience to their needs. Niniane was drawn greatly to the aesthetics of the photographers of the 19th century from early on in her photo education. First trained in traditional black and white printing, the cyanotype process was her first foray into historical techniques, printing with precoated cyanotype paper in the sun using Polaroid Type 55 negatives. 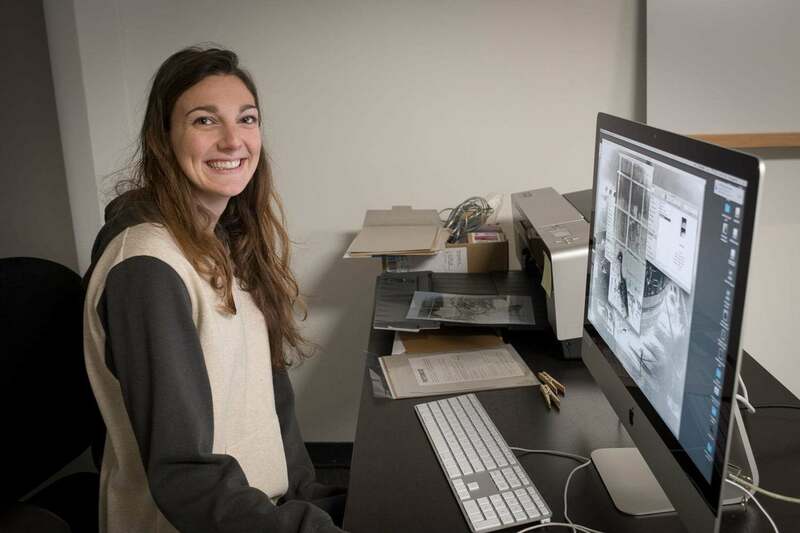 After taking her first historical process class at San Jose State, she fell headfirst into the world of alternative process printing (cyanotype, Van Dyke brown, and gum bichromate), mixing up potions and coating her own papers like the photographers she was influenced by so early on. 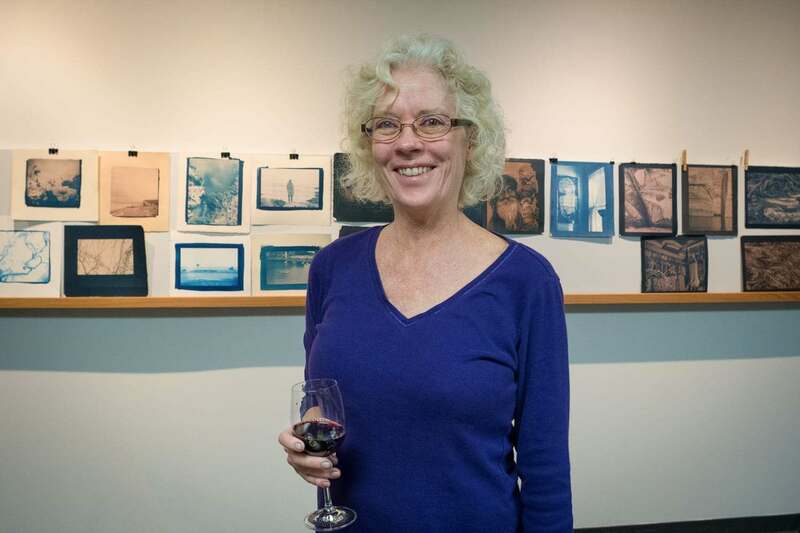 She has focused largely on gum bichromate in subsequent work, sometimes in combination printing over cyanotype, but has also added wet-plate collodion to her repertoire. Max’s first experiences with making cyanotype prints date all the way back to the age of ten. Already beginning his obsession with photography, he discovered a cyanotype formula in his brother’s chemistry kit. 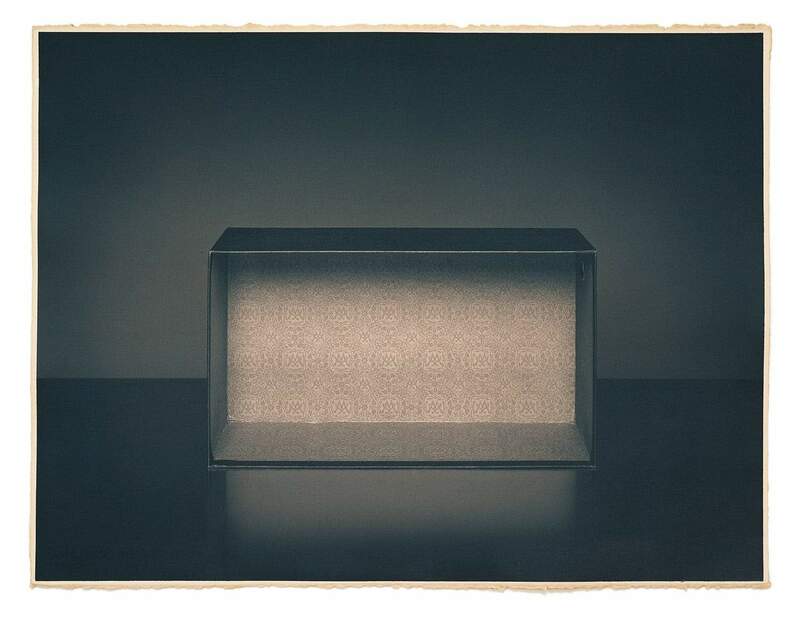 Coating paper in this magic liquid, he made his first photograms by placing leaves on the sensitized paper and exposing it to the sun. As a teenager, he went on to build his own darkroom, dedicating himself entirely to photography. About 40 years after his experiment with the chemistry set, he found himself once again intrigued by the blueprint and its legacy of recording and cataloging objects when he began his project Blues. Coating large sheets of paper in the cyanotype chemistry, he would obsessively lay out ordinary objects which come in a box – pasta; aspirin; q-tips; washers. These images harken back to the early days of photography, such as Anna Atkins’ cataloging of plant-life in large volumes of cyanotype photograms, as well as the later technical and industrial renderings that utilized blueprint to cyanotypes technology. His next foray into cyanotype came a few years after he completed the Blues project. 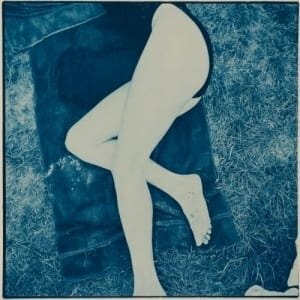 On the verge of realizing an idea which he had been carrying in his mind for decades, he realized that cyanotype would once again be the perfect printing process. But this time it wouldn’t be the shocking deep blue of the straight cyanotype print, but a softer, elusive rendering that comes from toning and bleaching the print. The final result is a play of warm and cool tones which emphasize the melancholy emptiness of the shoeboxes depicted in the series Le Scarpe. It is actually because of Le Scarpe, and The Image Flow, that Max and Niniane met. Knowing he would need assistance as he faced this daunting project, he called up Stuart Schwartz at The Image Flow. As both a photographer focusing in historic processes and a veteran assistant of a number of alt-process workshops at TIF, Niniane turned out to be a perfect fit. Together, we dove deep into the world of cyanotype art, researching and experimenting with different methods and techniques to develop a firm grasp on the process, as well as finding the right combination of variables to make the images of Le Scarpe come to life. 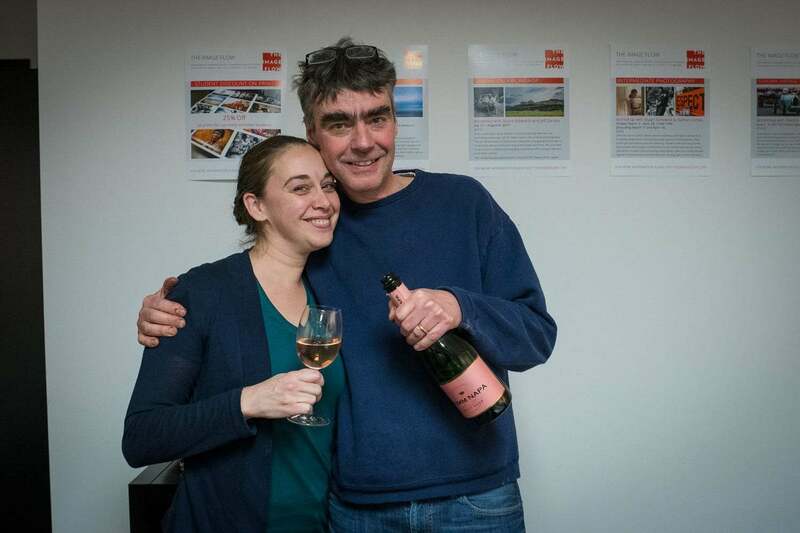 From paper choice to different toning methods, to creating digital negatives as large as the 22×30 inch final prints, we faced down every challenge the process could throw at us. When the opportunity arose to teach a cyanotype workshop at The Image Flow, it seemed natural we would do it together, utilizing our different strengths to try to create an experience that would be as enjoyable as it was educational. 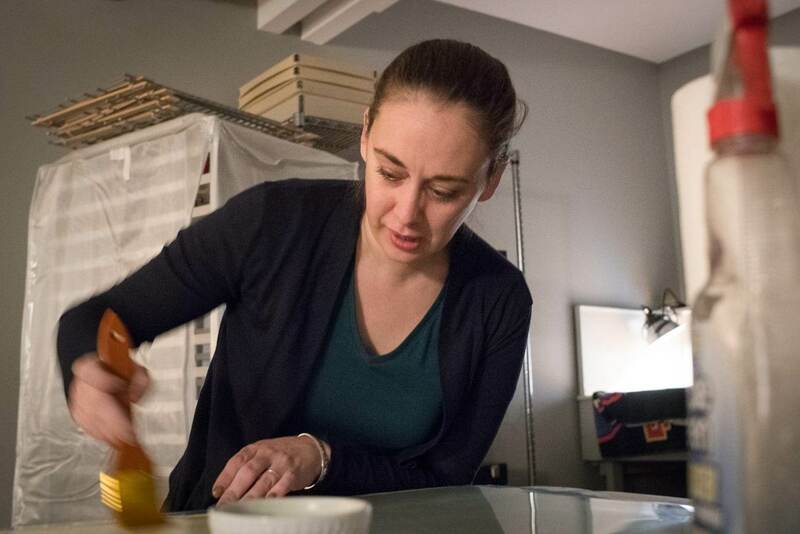 We cover the basics of making digital negatives the first evening, allowing two full days in the darkroom for the photo printing process and toning with cyanotype chemicals. The process is so versatile and variable that we love to encourage experimentation and play in the course. 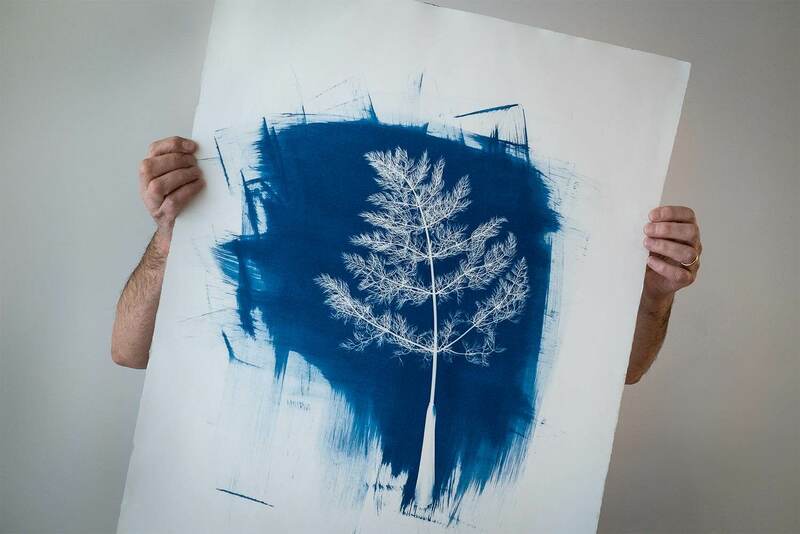 Cyanotypes can be printed on an endless array of papers, fabrics, and objects, and can also be manipulated through toning and bleaching to achieve an array of different colors beyond the classic bright blue. In our first two cyanotype workshops at The Image Flow, we’ve been blown away by our students and what they bring to the classes. Every student has their own perspective and experience, their own personal brand of creativity, which makes our weekend together that much richer. 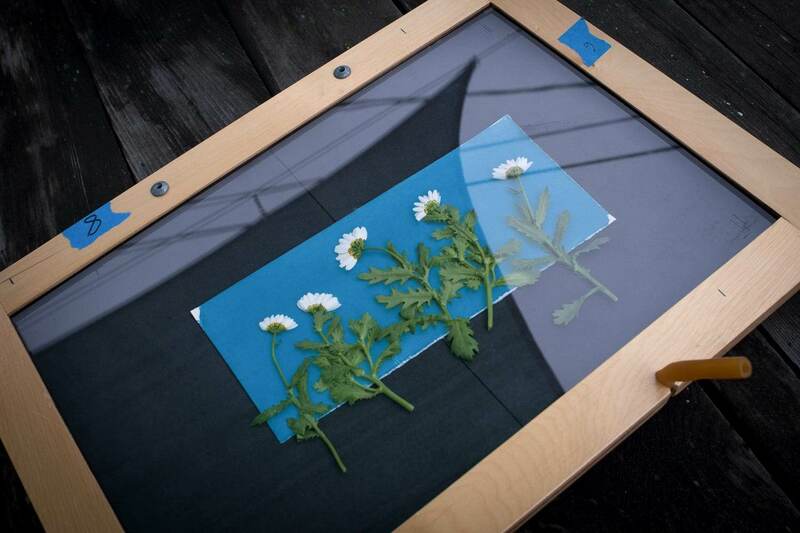 Together we all experiment, troubleshoot, and grow as we learn how to make cyanotype prints. We are excited to see what our next cyanotype workshop will bring.